From the bay-breasted warbler (Setophaga castanea), the great gray owl (Strix nebulosa), and the American flamingo (Phoenicopterus ruber) to the violet-green swallow (Tachycineta thalassina), great blue heron (Ardea Herodias), and the sadly extinct passenger pigeon (Ectopistes migratorius), you'll find 44 superb images to color here, taken from The Birds of America by John James Audubon and lithographer J.T. Bowen (1844). 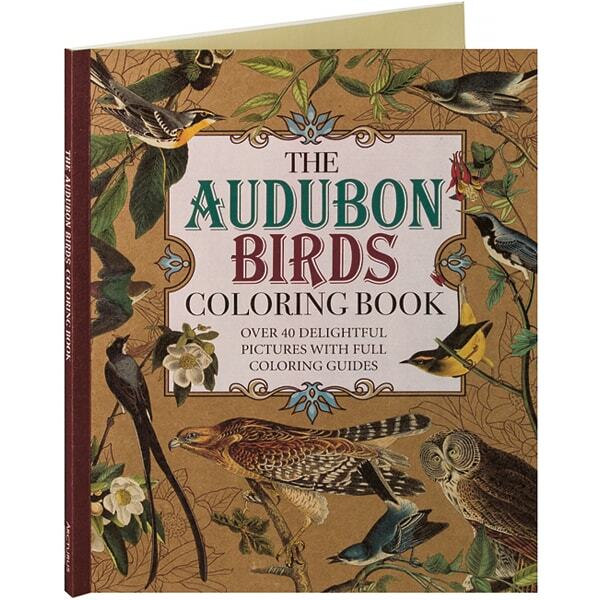 This coloring book for adults presents full-page color plates from the antique text on the left-hand pages, paired with line drawings on the right that are based on the illustrations; practice your artistic technique by using the originals as a guide for coloring and blending, or simply relax and let your mind wander as you color.